Our company as a legitimate enterprise which has been dedicated to R&D,production and sale of mushroom products,with GMP certification and HACCP certification of food.We have been serving our customers with Medicinal and Edible mushroom products OEM at home and abroad formany years. We have a wealth of experience,we can finish the works from products design to sale together with our clients, guaranteed that theproducts can be sold to the terminal market smoothly. 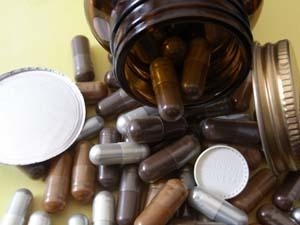 Type of preparation: Capsule form and Instant tea. The clients of China Mainland,we can provide the number of Food Enterprise Standard and Food Sanitation License used on the mushroom products. Overseas clients,under both sides joint effort to complete the related works, guaranteed that the products can be transported through the customslegitimately and smoothly,to provide documents for customs clearencethe, to complete products registration work and get the right of legalistictrade in the country ,to do further works promotes the product quality and the credit. Raw material: The main use of our mushroom powder and extract,with multi-species and multi-standard,that is,many different mushrooms andeach mushroom extract with different active ingredient content.According to customer request to design formula. We may recommend the effectiveformula to supply the choice, which suits the different type of health care and the top level demand. May pursue the specific material and shape for the customer, if needs to open new mould, we need to consult with the factory to make sure theminimum order quantity and the related expense, the costs incurred by the customer required a one-time payment. Hollow Capsule: We can fill 0 # and 00 # size capsules,Using Vegetable capsule or Nomal capsule,The capsule with HALAL PRODUCTCAERTIFICATE, the capsule factory is well-known in china, capsule quality is guaranteed. Label,tea bag and small box: We can help you to print with your design.We cooperate with the printing factory whom with good printing quality. Desiccant: According to customer request,If need to print Logo on desiccant, the costs incurred by the customer required a one-time payment. 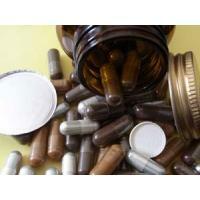 There are three ways of capsule form products sale. First, Bulk capsules packed in drum.Second,Capsules filled into bottle with no bottle label pasted.Third, Finished product. There are two ways of instant tea form products sale.First,Bulk small bags packed in carton or drum.Second,Finished product. Product export:We export our products through our local CIQ test.We can supply the products' CIQ certificates,Health Certificate,SanitaryCertificate and Phytosanitary Certificate. Customized packaging material, we have established requisitioned from the store system and the professional storage system. Ensure that thepackaging material does not drain and lost. Zhejiang Fangge Pharmaceutical Co., Ltd. is a professional manufacturer of Edible and Medicinal Mushroom products and has been dedicated to the R&D, production and sale for more than 15 years. 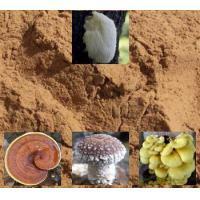 Mushroom extract (Polysaccharides);Mushroom powder;Mushroom health care products;Maitake mushroom medicine and Mushroom products OEM (Capsule and Instant tea). We have GMP and HACCP certificates, products’ quality can be effectively controlled. We are Zhejiang anti-cancer association member. We are the designated R&D base and pilot-plant of Medicinal&Edible Fungi by Zhejiang Sci-Tech Commission. We increasingly strengthens the cooperation relations with domestic famous institutions so as to maintain the technological leadership.For example,China Pharmaceutical University, Zhejiang University, JiangsuUniversity, Shanghai Academy of Agricultural Sciences. We have Standardized Reishi Mushroom,Shiitake Mushroom,Maitake mushroom and Agaricus blazei planting base.These planting bases locate in Qingyuan,which called China mushroom city and No.1 ecological environment county of china. Raw materials’ heavy metals and pesticide residues can be well controlled. 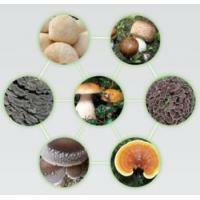 We are a proessional Medicinal&Edible Mushroom Deep Processing Enterprise of Hangzhou Huqingyutang Group. We are Fangge High-tech R&D Centre of Fungi Deep Processing (The first centre in China). We have Food Sanitary Registration Certificate of Export Enterprise,which meets export food hygiene requirements. We have maitake medicine which is the only one maitake medicine in china.We can produce maitake D and X Fraction. We are National high-tech enterprises. Professional testing personnel and testing equipment,advanced production equipments. We have been exporting our mushroom products to Europe,USA and South Asia for many years. Our U.S. FDA Registration Number is 11795306584.